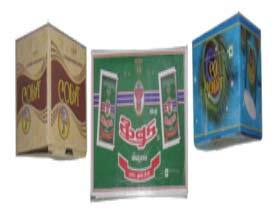 Obtain from us, small as well as bulk quantities of Pan Masala Packaging at reasonable prices. We are the illustrious Supplier of Pan Masala Packaging. Our pan masala packaging solution is able to provide safe and easy transportation and storage of the tobacco products. Our versatile packaging provides long shelf life to the products. Pan masala packaging bags vary in designs like stand up pouches, gusseted bags, vacuum bags, pillow bags, etc. These bags are available in custom printed options as per your needs. We utilize printing up to 9 colors for our custom printed bags with the help of the rotogravure technique.